Mallorcan mobile lama aluminum white lacquered folding model in book form in Barcelona. 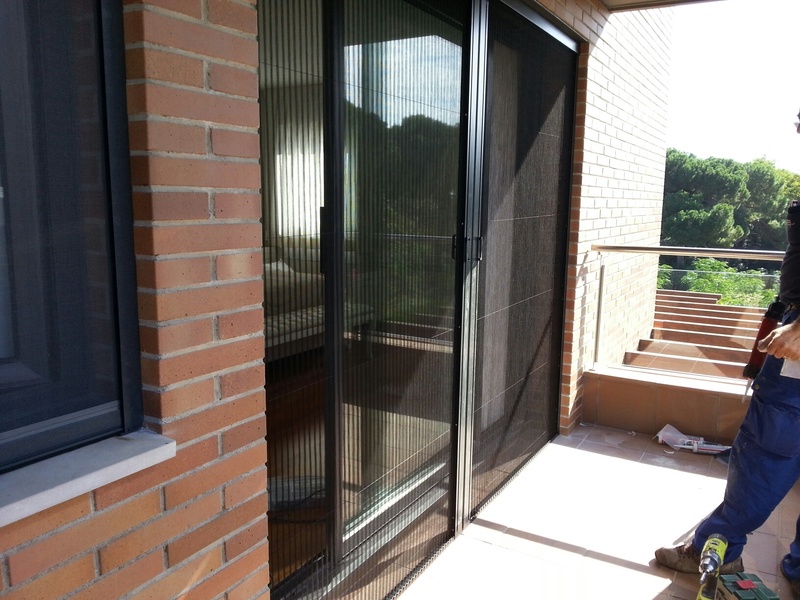 Work done in a house near Barcelona, which consisted of the installation of 25 aluminium mosquito nets, of two types: roller, pleated, in particular mottled gray lacquered finish. 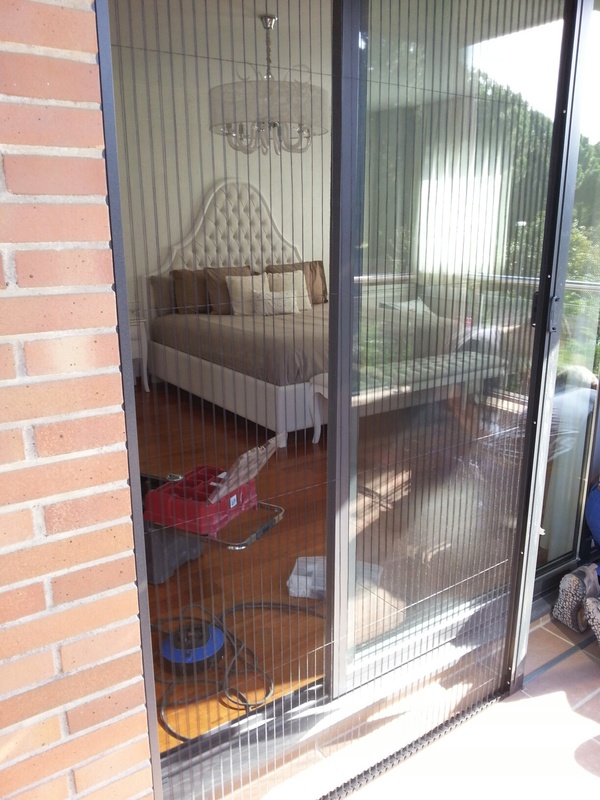 The roller type insect screens are suitable for placing in windows, since they offer the possibility of being unlocked easily for full use of the window opening. Consist of a small box of 5 x 5 cm, which is placed at the top of the window opening, occupying a minimum space. The pleated insect screens however, are most recommended for passage doors and balconies or exterior doors. It is a mechanism similar to the above, only that switch horizontally instead of vertically, being reduced to a small drawer once collected, as seen in the photo above. To extend the system displays a lower chain species, so as to seal this space, so that fail insects. Closes on the side by a magnetic strip. Years ago the nets for step sites gave us many operational problems and were not recommended, pleated nets currently solve these problems and offer reliability and durability. 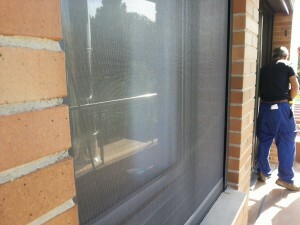 Mosquito nets allow us to rest easy in the hot summer nights, keeping insects outside. 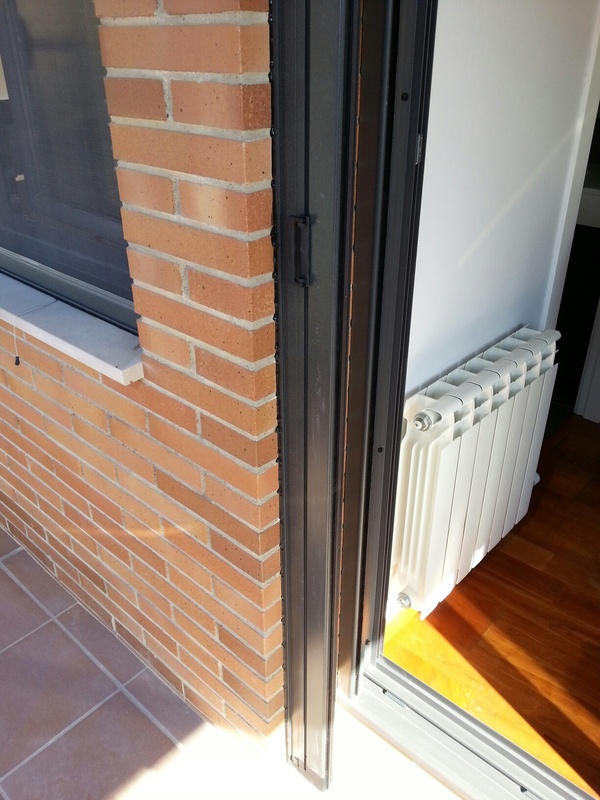 In this paper we use black color neutral silicone to seal the vertical joints, since color is very experienced sticking with all dark finishes. The task was installed in one day by three workers, since they are readily installable parts. 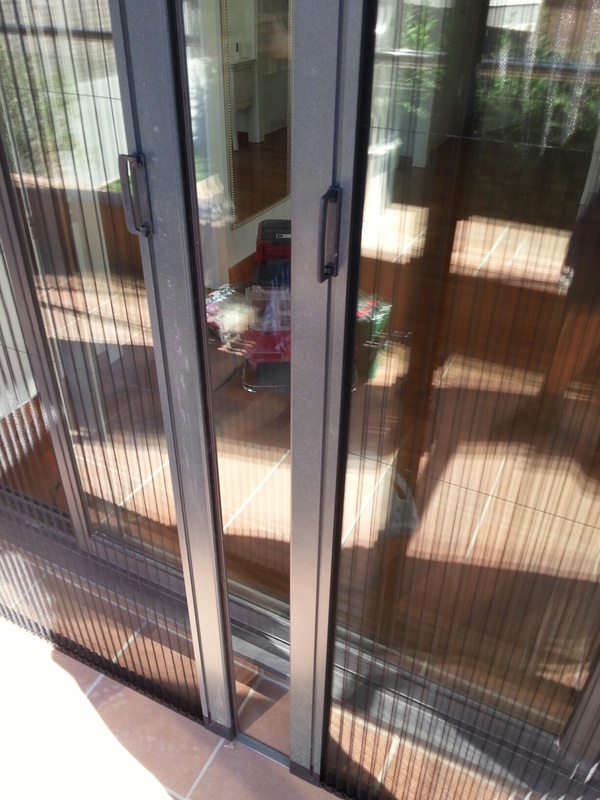 Check prices and availability, as well as any questions you may have, we will respond without compromise.